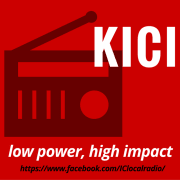 The station’s slogan is "Low Power, High Impact", meaning though KICI-LP broadcasts at 100 watts, the effect can be mighty. The station’s near future plans include streaming its broadcast to the web and adding more local programming. Would you recommend EXTEND THE DREAM FOUNDATION/KICI Radio?